Google Play Store is the largest online app store, but due to Google’s restrictions and rules, some excellent apps are not allowed in their store. Or perhaps you might want to install an older version of an app which is only available as an APK. While it’s easy to sideload APK files, you might have security concerns, in which case it’s a good idea to scan APK files for viruses before installing them. 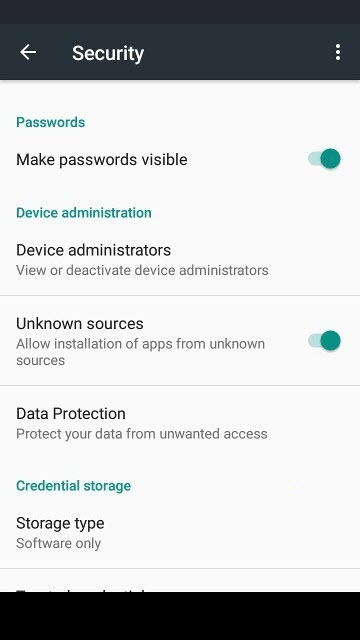 If you’ve never sideloaded an APK before, make sure that “Allow installation of apps from Unknown sources” is enabled in your Android’s Settings under Security. This option needs to be enabled, otherwise, you won’t be able to install any app outside the Play Store. An app installed as an APK works like any other app, but it won’t receive automated updates. Regarding security risks, there are some well-known apps only available outside the Play Store and those are safe when downloaded from the original source. However, you might be tempted to try lesser known apps and there’s always a risk no matter how small they’re infected with some kind of malware. Popular sites like APK Mirror usually host only secure apps, but even so, it’s always safer to scan APK files for viruses, regardless where you download them from. There are quite a few online services that let you scan your APK files for viruses. We’re going to show you the best and most reliable ones. Metadefender lets you upload APK files as large as 140 MB. The service extracts all the individual files from the APK and also scans them separately using several antivirus engines. When a scan determines an APK is safe it will be highlighted in green and the results should display that zero scan engines have been able to detect threats. 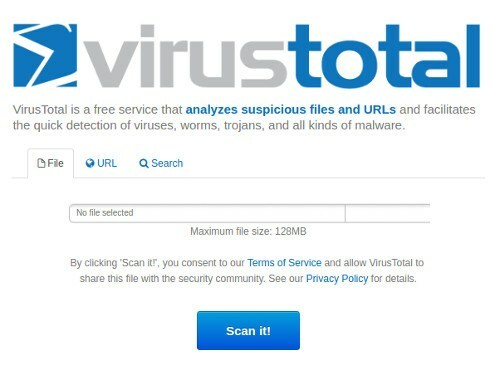 VirusTotal is also a reliable online virus scanner that will analyze APK files up to 128 MB and detect numerous types of viruses and malware if such is the case. The upload limit is a bit small since most apps are smaller than that, but there are plenty of games that are well over 128 MB. As a result, you can rely on this service but only for smaller APKs. NVISO APK Scan works just like the above-mentioned services. You just need to upload the APK via your web browser. It does provide one interesting capability – there is no size limit for the uploaded files. This means you can scan larger app and game files. When the scan is complete you can view the results online but you can also have them emailed to you. As you can see, there are several ways you can scan APK files for viruses. While the above-mentioned websites are our favorites, there are other reliable online services you can use. Let us know in the comments section if you have other recommendations!